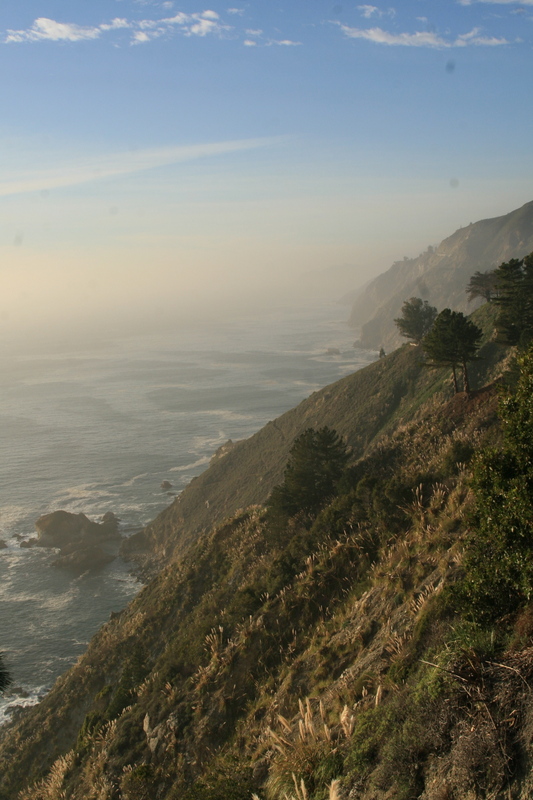 Marine haze in Big Sur. Photo by Lee Klinger. During the warm sunny days of December a thick marine haze developed that engulfed the region for many weeks (see photo above). This haze has been shown on other studies to be comprised largely of sulfate and organic aerosols, the precursors to biogenic (i.e. natural) acid rain. Last week I visited some oaks in Santa Barbara which have been undergoing fire mimicry treatments, some for two years, others for three years. Below are the results, unedited at usual. Last month (on December 1, 2011) severe Santa Ana winds blew through the central coast of California downing and damaging thousands of trees. At Hearst Castle, winds were recorded in excess of 70 miles an hour. Fortunately, none of the oaks involved in the case studies being conducted at Hearst Castle were lost, though several lost some limbs and many leaves were blown off the canopies. Despite the high winds, a number of the oaks are still showing marked improvement over the six years of records following initial treatment with fire mimicry methods. The photos below fairly show the improvement in some oaks, as well as the oaks damaged by the high winds. For previous years results from Hearst Castle see Sudden Oak Life posts here and here. I have prescribed an enhanced level of treatments for these oaks in the coming year, and we will see next year whether or not the oaks have recovered from this wind event. Note, the first four sets of photos show, alternately, treated vs. untreated oaks.